Male Pattern Baldness Genetics: Your Hair Follicles Are NOT Genetically Programmed For Hair Loss! 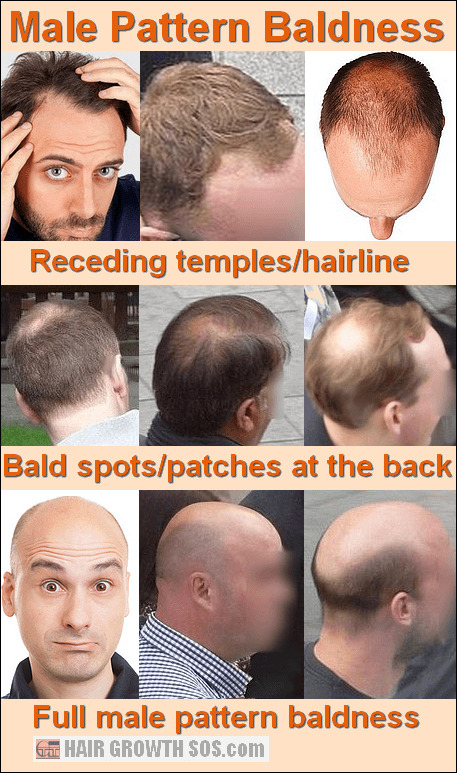 Ask almost any hair loss expert: "What causes male pattern baldness?" and they'll say that scalp follicles are "genetically programmed" for hair loss. This type of hair loss (androgenetic alopecia) affects millions of men and women around the world. And, as the name suggests, there is a genetic link. But it's got nothing to do with your hair follicles. This page explains why the current theory for male pattern baldness genetics is wrong. 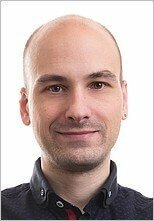 Despite many years of research, the genes responsible for male pattern baldness remain unknown, and the current theory for genetically programmed hair follicles, unproven. So far, only a few genes with some connection to the hair loss process have been identified. These include the 5-alpha reductase and androgen receptor genes, which will cause dihydrotestosterone (DHT) levels to increase within just the male pattern baldness region of the scalp. According to the current theory, DHT will then (somehow) cause hair follicle miniaturization and hair loss to develop. And since this only happens in a specific region of the scalp, this must mean that the follicles are individually programmed for hair loss in that region, but not in any other region. 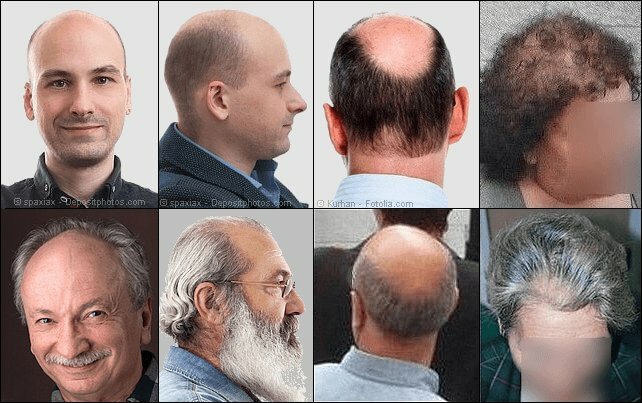 To show you just how ridiculous the current theory for male pattern baldness genetics is, take a quick look at the photos below. First of all, in the top photo you can see that healthy hair is growing in region A and severe hair loss has developed in region B. The arrows can be regarded as pointing to individual hair follicles just millimeters apart. This means that, according to the current theory, whilst one follicle is programmed for hair loss, another follicle immediately next to it is not! Furthermore, in the bottom photo you can see that some hair in region C is growing normally (and can often continue to do so throughout life). Again, the current theory would state that the hair follicles in this region are not genetically programmed for hair loss despite being completely surrounded by total baldness. Do you see how unlikely this idea is? It simply doesn't make sense that genetic predisposition can be so precise as to select follicles for hair loss on an individual basis like this. So there must be something else going on which causes the familiar pattern of hair loss to emerge. Scientists have acknowledged that the cause of androgenetic alopecia remains unclear and that some other mechanism must be taking place. Even so, I find it absolutely astonishing that virtually the entire hair loss industry still believes that hair follicles are genetically programmed for hair loss, and that so few people seem to question this theory at all! Well, several years ago I did question this theory and then began my own research into androgenetic alopecia. And, eventually, I realized that skull expansion (skull bone growth) is the real reason behind this type of hair loss. Skull expansion can explain why hair loss develops within just the male pattern baldness region of the scalp and nowhere else. 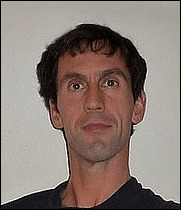 The genes responsible for male pattern baldness are those that determine skull shape. The shape of your skull is genetically inherited from either your mother or father's side of the family. And when I started to analyze various skull shapes, I noticed that a definite correlation exists between certain skull shapes and hair loss. On the next page, I’ll show you two basic skull shapes – one that will develop skull expansion and hair loss, and one that will not. I’ll also explain exactly how the skull expansion process causes this type of hair loss to develop. Read next page? How skull expansion causes hair loss.